The current state of relations with Maldives, couple with Indonesia being a “more attractive proposition” due to its international clout, could lead New Delhi to withdraw its support for Malé. New Delhi: When the time comes for India to choose between Maldives and Indonesia as a non-permanent member of the UN Security Council (UNSC) in June, New Delhi may break its long-stated commitment to the Indian Ocean nation. The Maldives had announced over a decade ago its intention to stand for election to the non-permanent seat in the Security Council for the 2019-20 term. Until now, India has consistently supported Malé’s undertaking. However, complications have crept in – like Indonesia’s support for the Indian candidate for the International Court of Justice (ICJ) and the current state of relations with the Indian Ocean nation – which have led to a re-think. Sources told The Wire that there have been “indications” that India has changed its mind on keeping its commitment to the Maldives. The elections for non-permanent UNSC members are scheduled in June this year. The official campaign had been launched for Maldives’s first-ever seat in the UNSC in 2016 – but India’s commitment precedes that. The earliest reference to India’s support was in the December 2008 joint statement during the visit of the then Maldivian president Mohamed Nasheed. This was reiterated after President Abdulla Yameen began his term in power. After the official launch of Maldives’s maiden campaign for a UNSC seat in 2016, India had also renewed its commitment to back the bid, sources added. Officials pointed out that India had supported the Maldives not only as a fellow South Asian country but also in a reciprocal gesture for its voting pattern for Indian candidates at international elections. While India had been relatively circumspect about its strained ties with the Maldives government, the Supreme Court judgement of February 1 and the subsequent imposition of a state of emergency have led to the more public expression of unhappiness. The latest verbal confrontation had been after the Maldives parliament had approved the extension of the state of emergency. 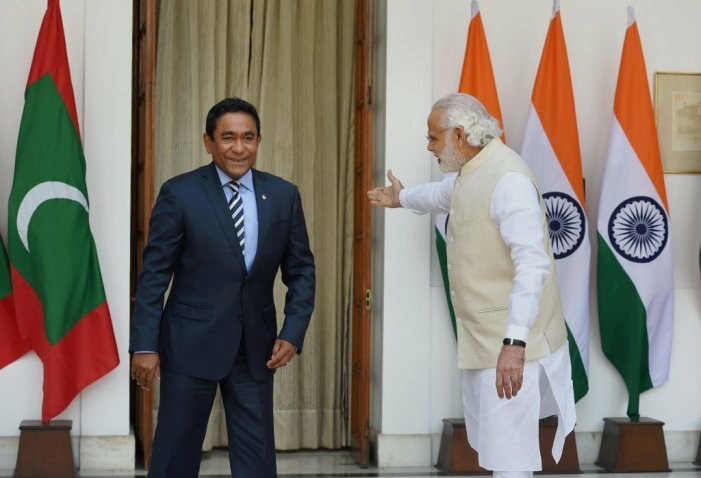 India had termed the move as unconstitutional, which led the Maldives to directly rebuke the South Asian giant. In an unusual move, United Nations Security Council on February 9 discussed the current crisis in the Maldives behind closed doors. This was a deviation from the norm, according to some observers, as the UN usually doesn’t take up the matter which is mainly about undemocratic practices within a country unless there was a demonstrable impact on international peace and security. Following the declaration of emergency, Maldives had arrested two Supreme Court judges, including the chief justice, former President Maumoon Abdul Gayoom and several other opposition leaders. With Indonesia being the other candidate for the UNSC non-permanent seat, the contest had already been lopsided. With nearly all Western countries and India criticising Maldives government for imposing a state of emergency and not following the original February 1 SC order, the support for the Maldives to replace Japan at the UNSC may have diminished further. According to sources, India’s view about its commitment to the Maldives had become more complicated due to the bruising fight at the UN over its candidate for the ICJ in November 2017. Officials had started to consider the commitment as a “liability” with India involved in scraping together enough numbers at the General Assembly. It made New Delhi realise that Indonesia was a “more attractive proposition” due to its international clout. India’s Dalveer Bhandari finally won the election after the UK withdrew its candidate Christopher Greenwood after he could not get the requisite numbers in both the Security Council and the General Assembly as stipulated. 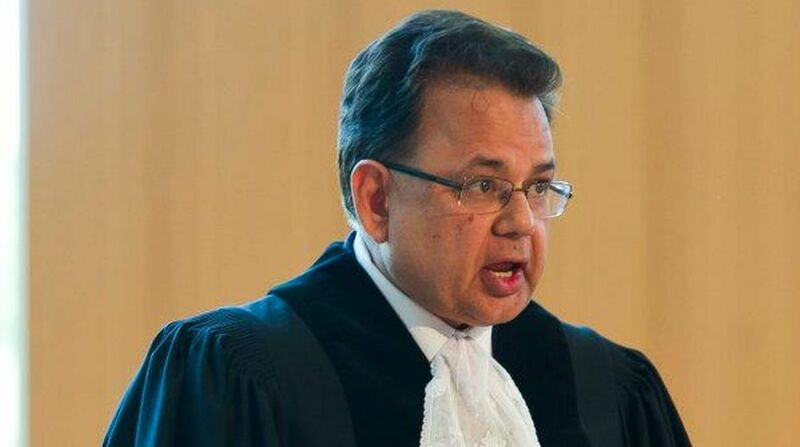 Sources confirmed to The Wire that Indonesia did vote in favour of Bhandari, the Indian candidate at the ICJ. With international election campaigns conducted on a quid-pro-quo basis, it is highly likely that India had given some type of assurance to Indonesia, most probably of a verbal nature. In the first week of 2018, external affairs minister Sushma Swaraj went to Jakarta to attend the joint commission meeting. It is learnt that Indonesian foreign minister Retno Marsudi had “thanked” Swaraj for “India’s support for Indonesia’s candidature”. However, The Wire could not find any public record of this acknowledgement. Swaraj’s media statement also does not refer to any such arrangement with Indonesia. When asked if India has conveyed any change on its position on supporting Maldives’s candidature, the Maldivian ambassador to India, Ahmed Mohamed said, “We don’t go to the media and play public diplomacy… we will geographically remain in the same area, same vicinity, same neighbourhood. It is the responsibility of our people to strengthen ties, not to strain them”. Meanwhile, South Block believes that the Maldives continues to be defiant in face of international criticism. Sources claimed that India had suggested to the European Union to include phrases on “targeted measures” against the Maldives. The EU had also cautioned that there could be a more stringent travel advisory when it alluded to concerns about the impact on the safety of tourists. Maldives government responded that the state of emergency will be removed “as soon as the threats posed to national security are addressed satisfactorily”. Meanwhile, Maldives withdrew its participation in the biennial Milan naval exercises hosted by the Indian Navy. The Maldivian embassy in India suggested that the move was “not extraordinary” considering that there was an ongoing state of emergency. “The embassy would like to clarify that the Maldives is unable to participate in the naval exercise during this time due to the current circumstances of a state of emergency being in effect for those under investigation for serious crimes. During such a time especially, security personnel are expected to be at a heightened stance of readiness,” it said. Over the weekend, a group of four international lawyers were deported from the Maldives, after being detained for ten hours. The group had arrived in the Maldives as a fact-finding mission on behalf of LAWASIA, led by its president Christopher Leong. The delegation also included the president of Bar Association of India, Prashant Kumar. Maldivian immigration had claimed that the delegation had arrived in the Maldives without the requisite visa. In a statement, LAWASIA president said that the delegation had started to prepare for a fact-finding mission following the foreign ministry’s offer of February 7 to visit the Indian Ocean nation to assess the situation. Leong listed out the correspondence made by the group with Maldivian authorities, including the foreign ministry, in order to give notice and ascertain the permit for bringing a fact-finding mission. With no response to their last missives, the delegation arrived on February 25 and announced their intention at the airport. 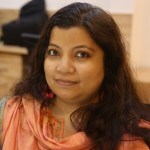 “Instead of providing guidance and facilitating the mission with a visa as would have been consistent with the open invitation issued by the government of Maldives to international organisations, the Maldivian authorities had instead refused entry to the members of the team, detained and kept them at a closed detention facility under guard and surveillance, and subsequently deported them,” said the statement. The LAWASIA delegation’s mission was to assess the state of the judiciary in the Maldives, including the rule of law and the independence of the Judicial Services Commission. “By such action (of deportation), the government of Maldives deprived itself of the benefit of an independent and impartial assessment by a fact-finding team not sponsored by any individuals, parties or organisations in the Maldives,” said the statement.